Ardbeg is a wee Islay distillery that has risen to near legendary status, thanks in no small part to claims like this one of Jim Murray’s: “Unquestionably, the greatest distillery to be found on Earth.” (No hyperbole there, I’m sure.) 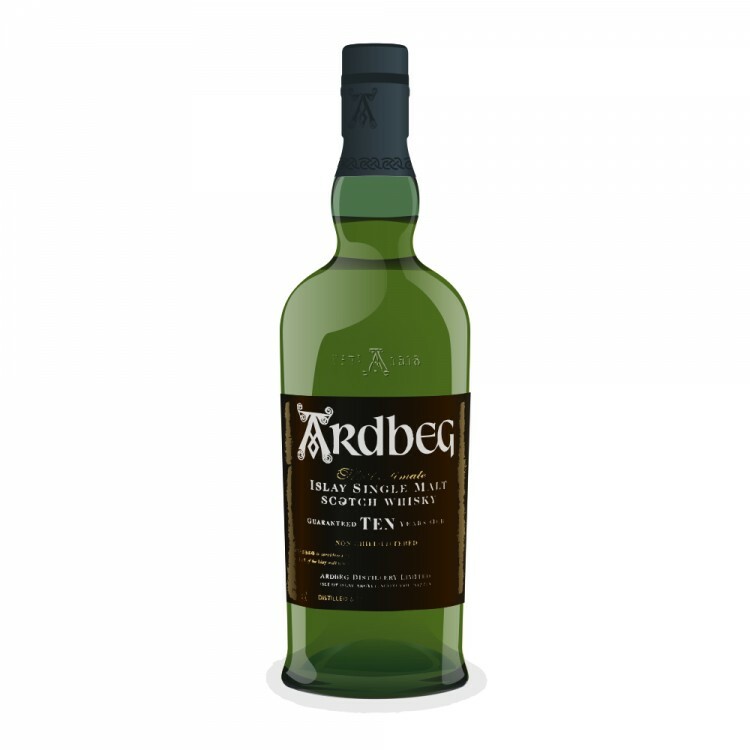 To many, their 10 year-old is a benchmark peated malt Scotch whisky; much like the Lagavulin 16 year-old, the Ardbeg TEN helps to define the genre of the peated, coastal malt. It is not chill-filtered and bottled at 46% ABV. According to the label, this imparts “MAXIMUM FLAVOUR”—and we Connosrs well know that whisky never benefits from being bottled above this strength. The palate is damp smoke, vanilla, salt, and smoked kippers, with a touch of citrus, anise, and tar. Limes appear on the finish before giving way to chilis. The Ardbeg TEN is a lovely dram. Sophisticated, complex, and more than just a study in peat. Very nice review. I love the first paragraph :).